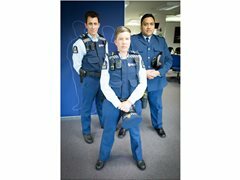 Wellington Paranormal is a TV series following Officers Minogue & O'Leary as they patrol the Wellington streets, keeping the public safe from any paranormal activities. The production is looking for extras for several shoot days. Shooting from the 15th April to the 24th of May. Shooting weeks are from Monday to Friday. Shoot times will vary - and in some instances may start in the afternoon, going into the evening.